It’s May, and while it has been a cold start to our Island season we are finally beginning to see flowers blooming and leaves popping. The Lilacs, a sure sign of summer days ahead are in full bloom. Another sign, according to local fishermen, is the return of the stripe bass. The shops on Circuit Avenue, Main Streets in Edgartown and Vineyard Haven that were dormant all winter are busy getting ready for their openings. Some of the popular restaurants in Oak Bluffs, like Red Cat, Fat Ronnie’s, Back Door Donuts and Look Out, to name a few, have opened to a brisk business. Those of us who stayed throughout the winter were not without plenty of options, but it is always fun and exciting to have more choices on where to dine. Everywhere you look folks are working in their yards or spring cleaning. Last year alone tourists brought over $150,000 million in revenue so it is important to put our best effort forward. 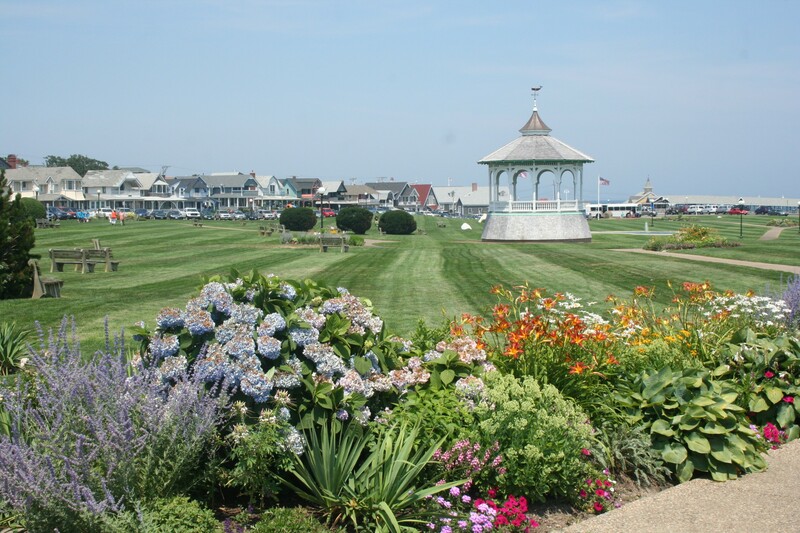 Oak Bluffs is gallantly holding its own these days. Between the upscale restaurants, million dollar homes, a state of the art library, a new Bowling Alley, Farm Neck Golf Course, major events like Illumination Night and the end of summer fireworks led our rental office to sell out August right after the New Year. OB has waterfront beaches, four different ferries running all summer, a public transportation hub, exciting harbor activity, the historic and fairy book campground of over 300 cottages, restaurants of every type, the oldest carousel in the country and even a designated Art District. 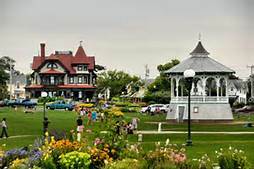 All these appealing amenities showcase Oak Bluffs, the Victorian town by the sea, making the town one of the most popular spots to rent and buy a home. The real estate market continues to show a strong surge in sales. We are urging people who have thought about putting their home on the market to think about it before the summer influx. Inventory is low, especially for the first time homebuyers who are eagerly hoping to find a home in the $400,000 to $600,000 range. Ocean Park Realty has seen more first time homebuyers this year due to the advantage of the low lending rates still in effect and of course buying into a sound investment. The town is also working on major beach nourishment projects and bought a beach rake to enhance and maintain the local beaches. The 10 year construction project of the Lagoon Pond Drawbridge will finally be completed by July 4th and once again both residents and visitors alike will enjoy the new open space, landscaping and waterfront access under and around the bridge. On Island we consider April, May & June our shoulder season and one of the industries that keep the atmosphere alive and well is the destination weddings. Out of the 300-400 weddings a year that we host on Marth’s Vineyard, most of them are planned in the spring and fall months, taking advantage of the lower hotel rates, accessible cottage rentals and easier access to ferry reservations. Call our rental department at 508-693-3037 for favorable rates and availability.